If you're like me, you know that the best reading experiences are those where the story is so gripping that the real world melts away. 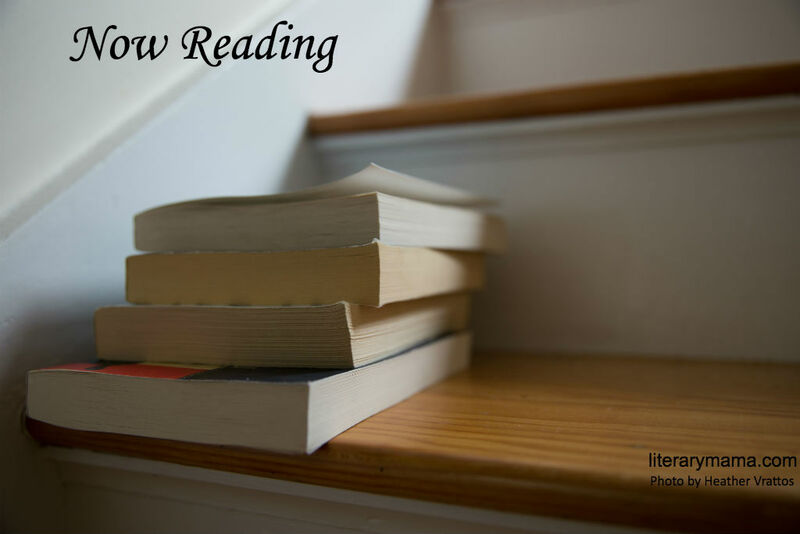 This month, our staff offer a list of books we found so engaging we just had to share them. If you're looking for your next page-turner, we have you covered. 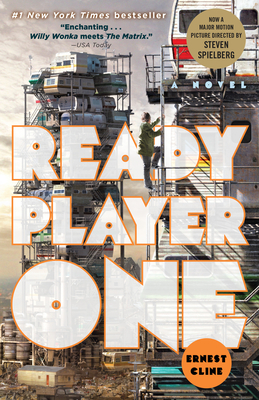 After multiple recommendations from friends, I finally picked up a copy of Ernest Cline's Ready Player One. I wasn't convinced it would be a good fit for me, as I'm not much of a video game person, but I was wrong. It took maybe two pages for me to become completely engrossed in the story of a young man playing a video game designed as the last will and testament of a billionaire—think Steve Jobs meets Bill Gates. Set in the year 2044, the book is chock-full of 1980s nostalgia in the forms of televisions shows, movies, music, and more, which makes it an extra fun read. Protagonist Wade Watts, better known by his avatar's name Parzival, quickly finds he's playing more than just a video game, he's trying to survive. The pacing of this novel is warp-speed, but surprisingly easy to follow even with my limited expertise into technology and the gaming world. The novel has something for everyone, including pop culture references, humor, action, and even a love story. Cline's novel scrapes more than just the fun, dystopian surface; it examines the idea of solitude in social media, online gaming, and the created personas we hide behind. I went back and forth between reading the text and listening to the audiobook, read by Wil Wheaton, and thoroughly enjoyed both versions. 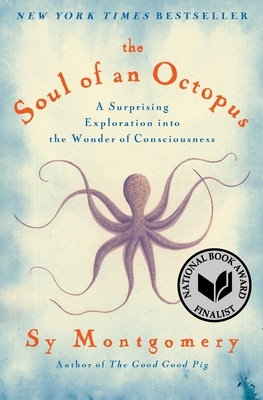 Senior Editor and Creative Nonfiction Editor Amanda Jaros just finished reading The Soul of an Octopus: A Surprising Exploration Into the Wonder of Consciousness by Sy Montgomery. She shares, "It’s a nonfiction story in which Montgomery tells of her various interactions with individual octopuses, both in the New England Aquarium and in the wild. Her love of these strange animals from the deep is the cornerstone of the book. As she shares her experiences, she dives into the biology of the species, as well as a philosophical inquiry into consciousness and emotion. However, the book raised many questions for me, namely, what are the ethics of confining wild animals in facilities like an aquarium, and how are the animals impacted by that kind of life? For Montgomery, the tradeoff of taking animals from the wild and keeping them contained is worth it. On every page, she shows her joy in getting to know and actually befriending several octopuses at the aquarium. I’d recommend this book for anyone who is intrigued by human-animal connections, or those who want to think more about what consciousness is. I’d never given much thought to octopuses before reading Montgomery’s book, but by the end I was impressed by the depth of their intelligence and found myself hoping to someday get to experience an octopus up close myself." Libby Maxey, Senior Editor and Literary Reflections Editor, continues to celebrate Mother's Day into the end of May with her current reading selection. 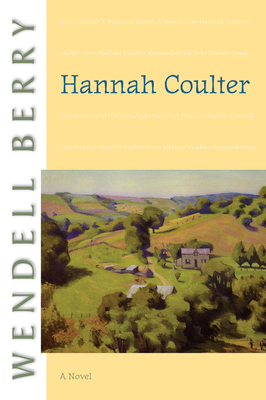 She writes, "It seems like it has been ages since I've read a book that included an interesting mother figure, but Wendell Berry's Hannah Coulter is one. The eponymous narrator, now in her 70s, recalls her poor childhood, her pre-World War II courtship, and her husband's disappearance in the war. The experience of becoming a mother as a young widow is difficult, but allowing herself to choose a new life afterwards is no easier. Until Hannah Coulter was selected by my book club, I was unaware that Berry had written a series of novels. To those familiar with his essays or poetry, it will come as no surprise that in this book, action is less important than the beauty of rural Kentucky, the lost ways of farming communities, the truth of human feeling, and the private pathos of memory. In his steady, gentle way, Berry makes Hannah's voice the right one to explain the nature of love and what it means to belong." Kim Ruff, Creative Nonfiction and Fiction Editorial Assistant, is currently engrossed in the book I'm Still Standing: From Captive U.S. 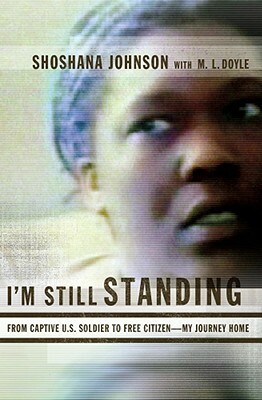 Soldier to Free Citizen My Journey Home by Shoshana Johnson. She says, "It's a firsthand account of her 22-day imprisonment during her deployment to the Middle East in 2003 to support 'Operation Iraqi Freedom.' Shoshana is a single mom, and a cook in the Army, who is sent to the front lines. She becomes the first African-American female prisoner of war in United States history. She survives her imprisonment and ultimately becomes an American hero. What's interesting about this book is that Shoshana did not want to write it, but her mother encouraged her, saying people would want to hear her story. I am glad she listened to her mother because her story reads like a personal journal. As readers, we not only get a unique firsthand account into the harsh realities of war, we are also afforded an opportunity to intimately know the ordinary men and women of our country who serve in the military and make extraordinary sacrifices every day." What's the last book you read that you couldn't put down? Tell us about it in the comments below, or tweet us @LiteraryMama. You can also follow us on Instagram @Literary_Mama and Goodreads for more recommendations. Books are somehow the best hobby you will ever have. More than watching a movie or television show.